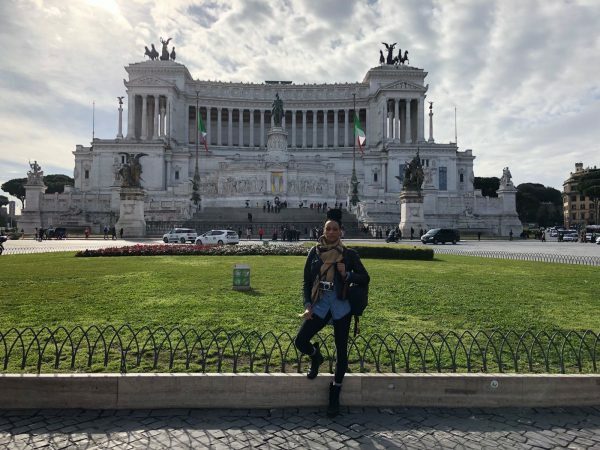 Museo del Vittoriano: Located in Piazza Venezia, this museum hosts international exhibitions and is home to the symbolic monument for Vittorio Emanuele II. 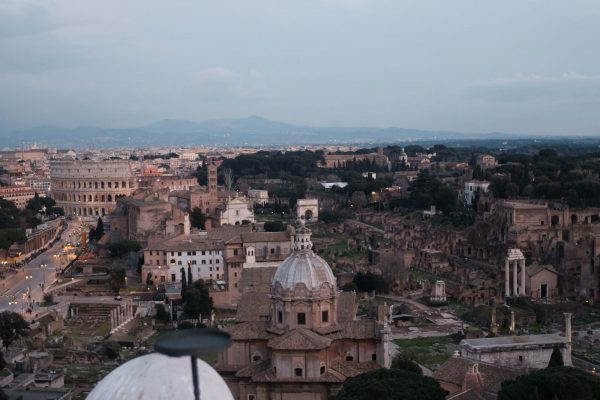 For 10 euro per person, you can take the elevator to the rooftop where you can have the best panoramic view of Rome. 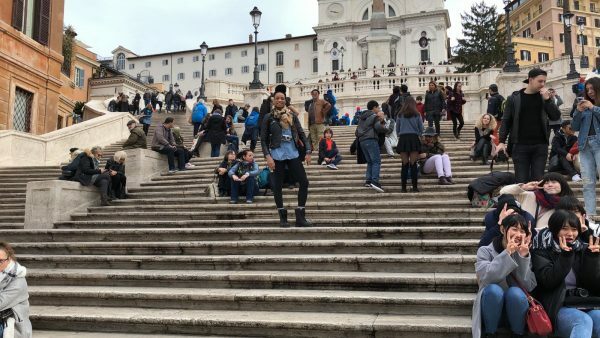 Piazza di Spanga (Spanish Steps): 135 of the widest steps in all of Europe named after the Spanish Embassy. The steps were built to connect the Spanish Embassy to the Trinita dei Monti church found at the top. 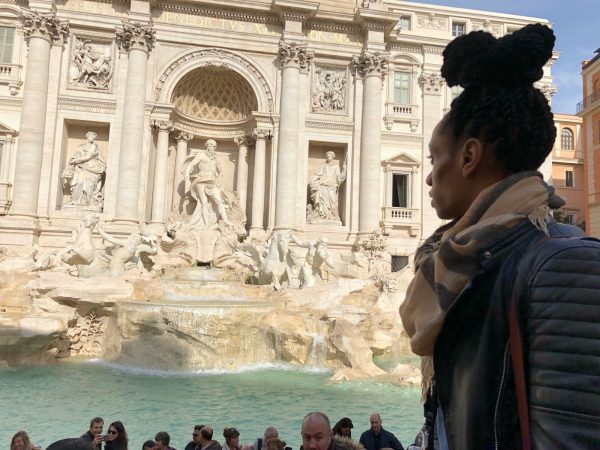 Fontana di Trevi ( Trevi Fountain): One of the most famous fountains in the world and the largest Baroque style foundation in all of Rome. 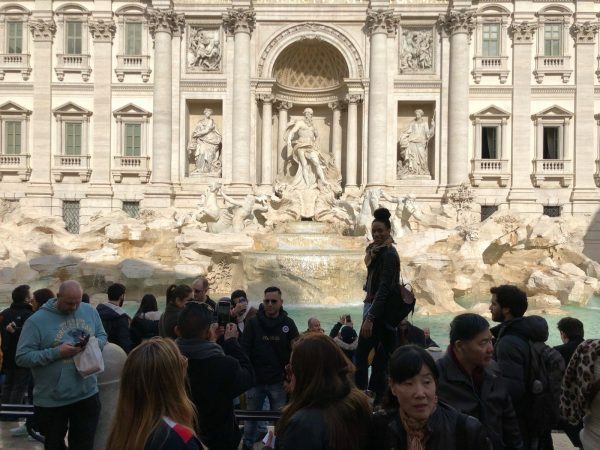 It’s tradition to throw a coin into the fountain using your right hand over your left shoulder for a future return to Rome. 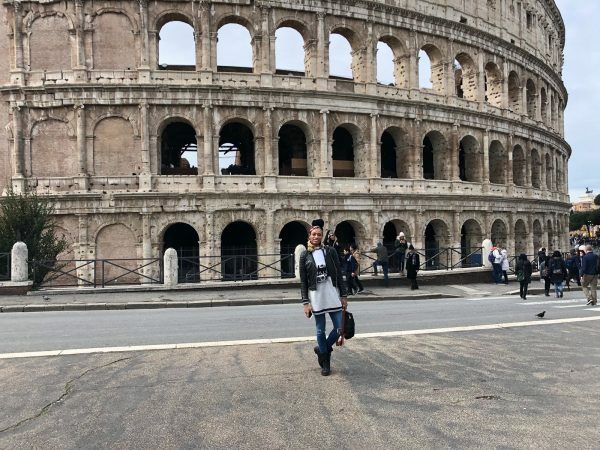 Colosseum, also known as Flavian Amphitheatre: Was a gift to Rome from the Flavian Emperors (Vespasian, Titus, Domitian) and is the largest amphitheater ever built. It was used for entertainment featuring gladiator battles, executions and mythology based dramas. 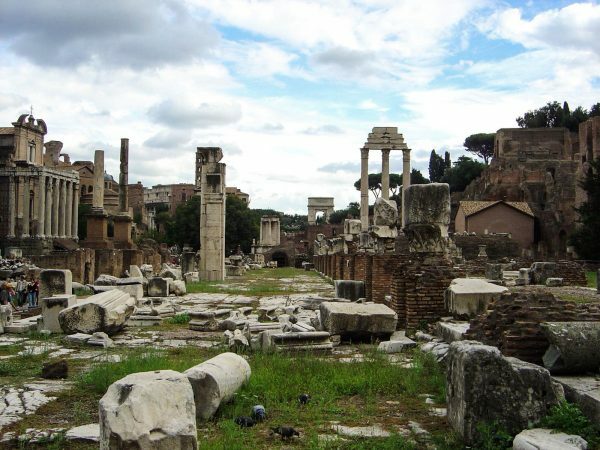 Forum Romanum: Large rectangular plaza where you can find the preserved ruins of important government buildings. 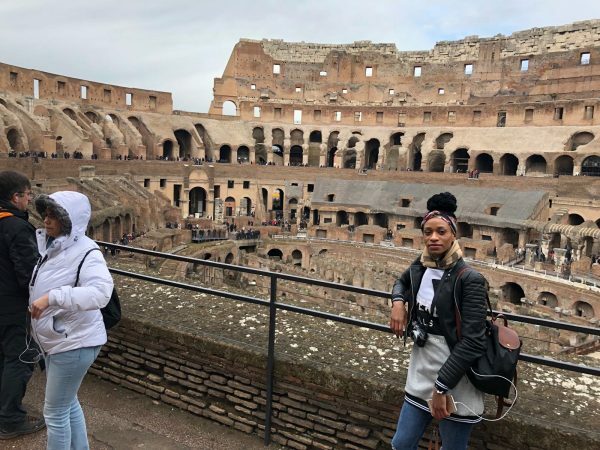 It was once the center of daily life and the heart of ancient Rome where public speeches, trials, commercial affairs and gladiator matches were held. 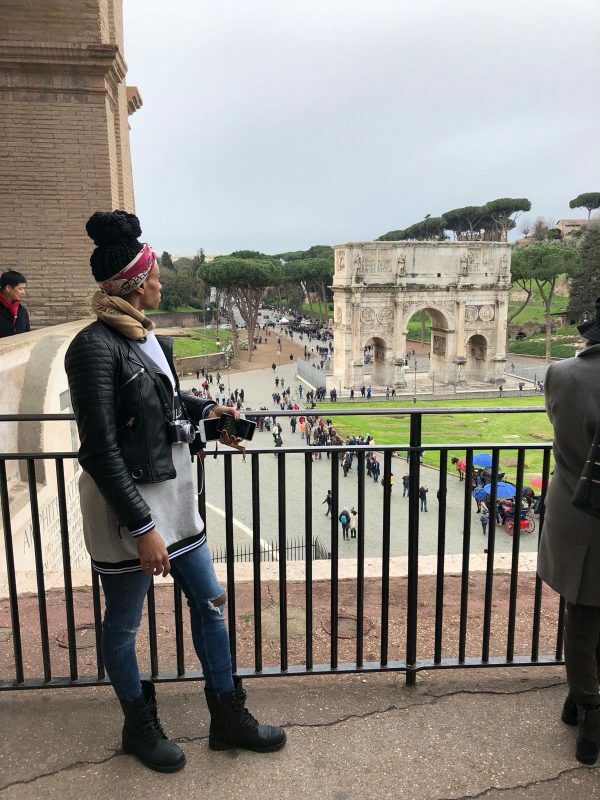 Archo di Constatino (Arch of Constantine): The largest Roman triumphal arch located between Palatine Hill and the Colosseum. 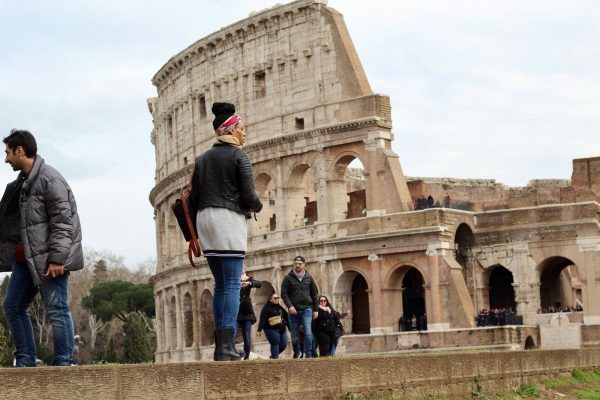 It was erected to celebrate Constantine I’s victory at the Battle of the Milvian Bridge. 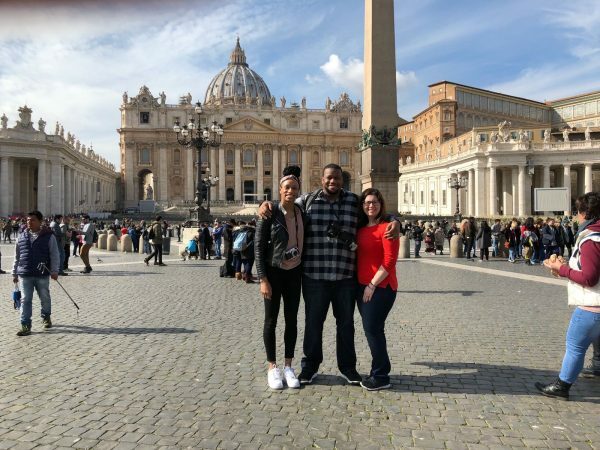 St. Peter’s Basilica: The largest church in the world located in the Vatican City of Rome. 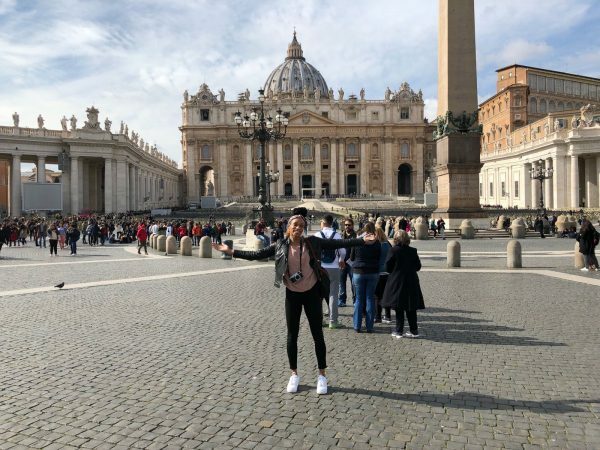 The Pope conducts several worship services each year inside the church or on the St. Peter’s Square in front of it. 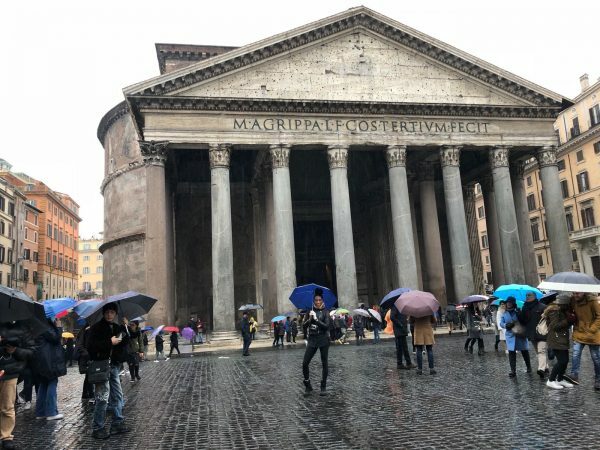 Pantheon: Used to be a Roman temple but it is now the Church of Santa Maria Rotonda. It’s known for it’s amazing oculus. Leather Craftsman: www.leathercraftsman.it. 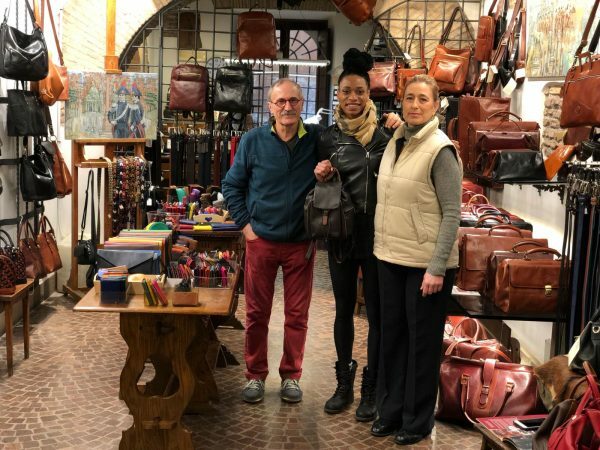 There are so many stores in Rome selling overpriced “leather” goods but we bought our leather goods from this shop we found via Yelp. 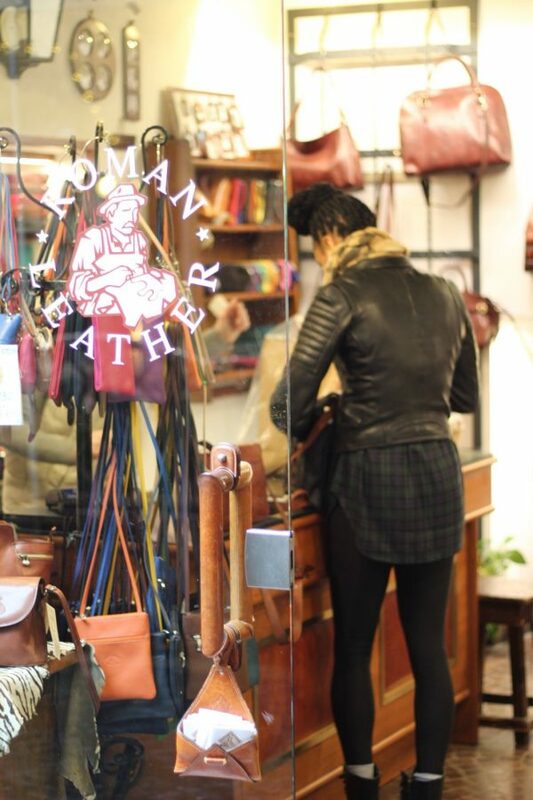 The craftsman studied at Aldo Filosini and his leather is sourced from Florence. He and his wife have been selling his vegetable tanned handcrafted products since 1970. Their products are definitely worth the price! Fiume Tevere (Tiber River): I stayed along this River in Trilussa Square. It’s the second longest Italian River and it flows through the entire city of Rome. Homebaked: A cozy restaurant serving American breakfast. 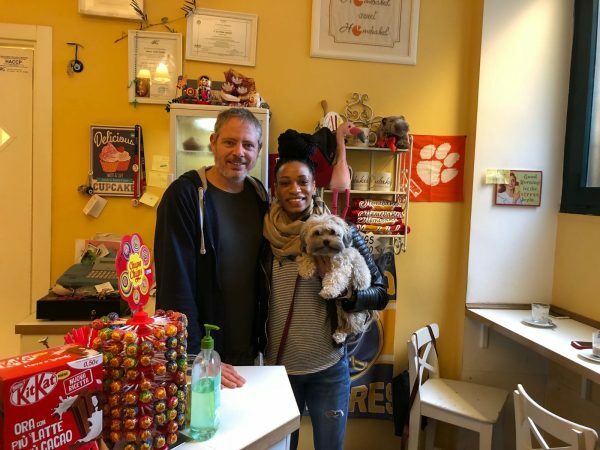 The owner is a native of Buffalo, New York, and has now been living in Italy for 17 years. Offering a creative menu, a welcoming atmosphere, and the cutest pup known as Jack the Dog. I highly recommend it!